It’s a lovely, sunny fall afternoon in Seattle. 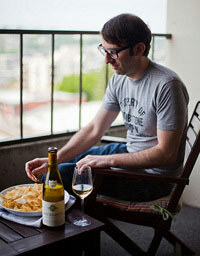 I think it only proper to laze about on the balcony and drink sparkling wine. What’s in my glass? Blanquette de Limoux. This region of France produces really nice, fun, and affordable sparkling wines. And if you liked to be steeped in the lore and history of bubbles, you can’t do much better than Blanquette de Limoux. The next time you’re having brunch with friends, bring a bottle and let them know that monks were making sparkling wine in Limoux over a century before ol’ Dom P in Champagne. 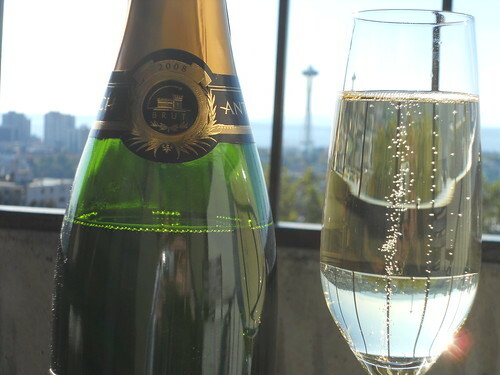 Whenever drinking, history, monks, and bubbles collide, you know you’ve got a good thing. 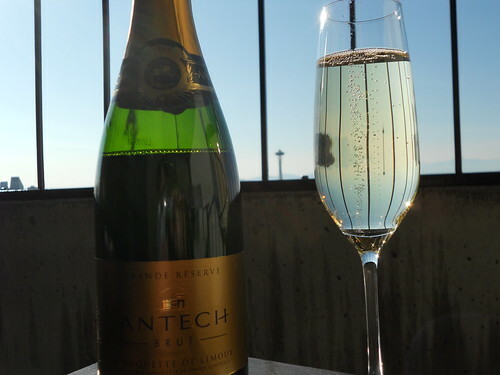 And if you like esoteric grapes, you’ll love the makeup of the the bottle I am enjoying: the NV Antech Blanquette de Limoux Grande Reserve. It’s 90% Mauzac, with the balance Chardonnay and Chenin Blanc. I’ve never had a still wine made with Mauzac (but let me know if they are out there), but it’s particularly suited to the sparkling wines of the region. (I’m guessing Mauzac has loads of acidity.) It strikes a nice balance between green apple-y freshness and some toasty/yeasty flavors. Remarkably deft for such a modest price. So what are your favorite bargain bubbles?